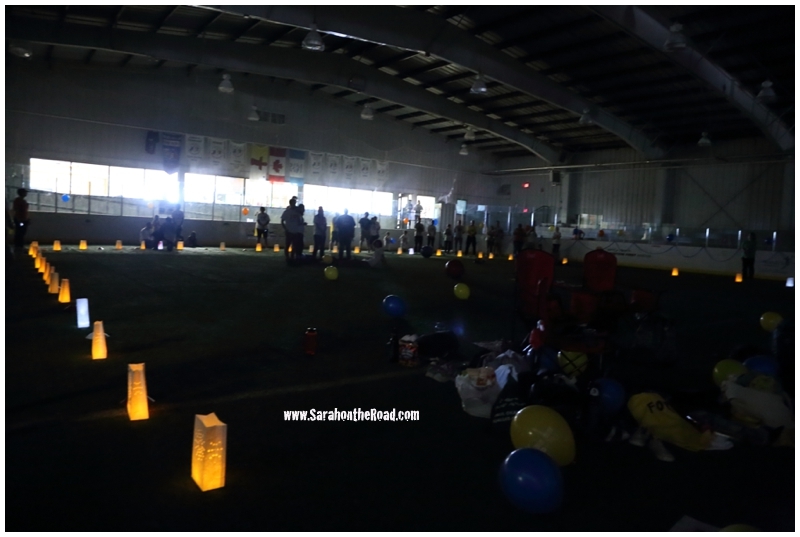 Last Saturday was the Relay for LIfe here in Iqaluit. 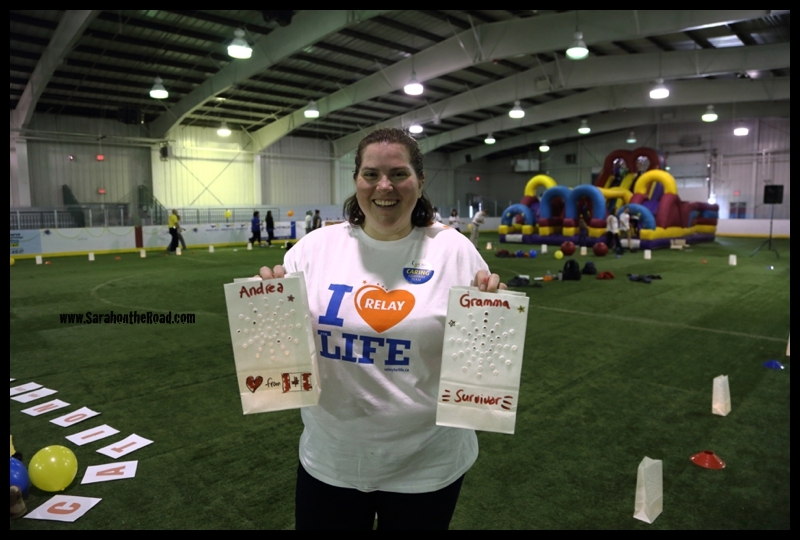 I joined up with 9 other friends and work colleagues to create a team called “Education for Life”! Everything always seems to happen last minute. On Friday morning I causally mentioned I was a ‘cape-making-expert‘ partly because of the capes I made last year for my amazing Indigo Raven Road Trip in the Yukon. 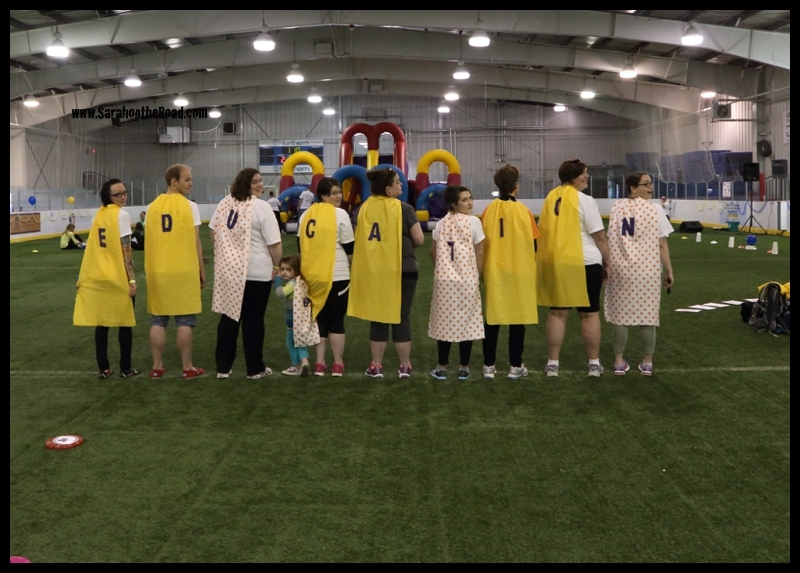 So that lead to me making capes on Friday evening and the wee hours of Saturday morning for our team to wear! (I finished and was in bed by 3am!) But I think they turned out great. 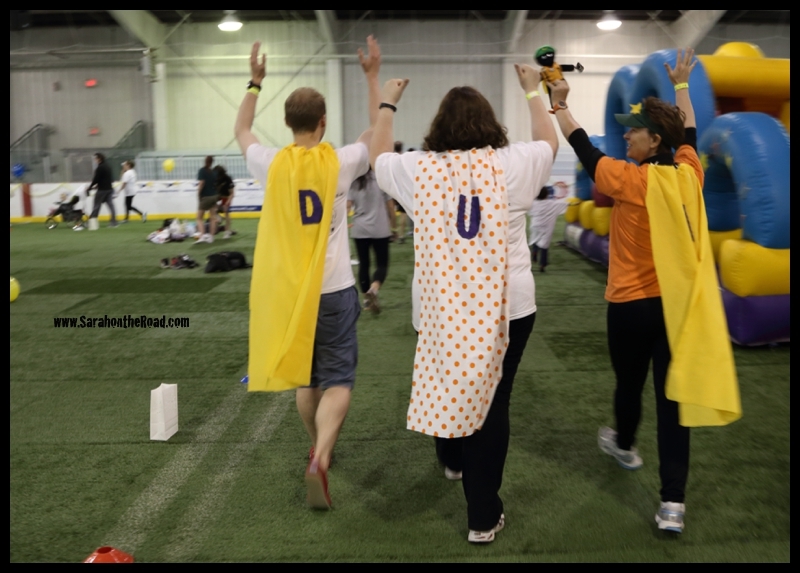 When I decided to walk in the Relay for Life immediately I thought of two people: My gramma a survivor of Breast Cancer…who just finished her treatment a year ago in July and has been in remission since. The other person was my friend Andrea. Andrea is my friend from my Toronto livin’ days. She actually left Toronto and relocated to Australia before I left Toronto to move to Nunavut. We have kept in touch and had many a late night/early morning convos over the years. My heart and prayers are with her as she is currently in treatment for Breast Cancer. This was was for you! Wish I wasn’t on the other side of the world…and a wee bit closer for a visit. 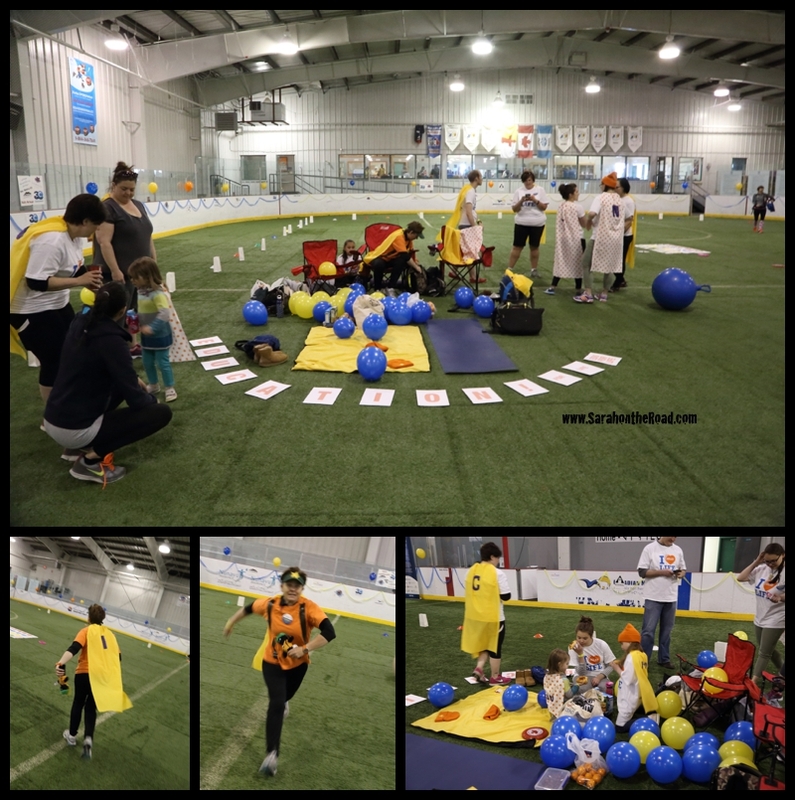 Overall it was a fantastic event…great exercise with great people! There was live music for parts of the event as well as a good dj with tunes to keep us walking. 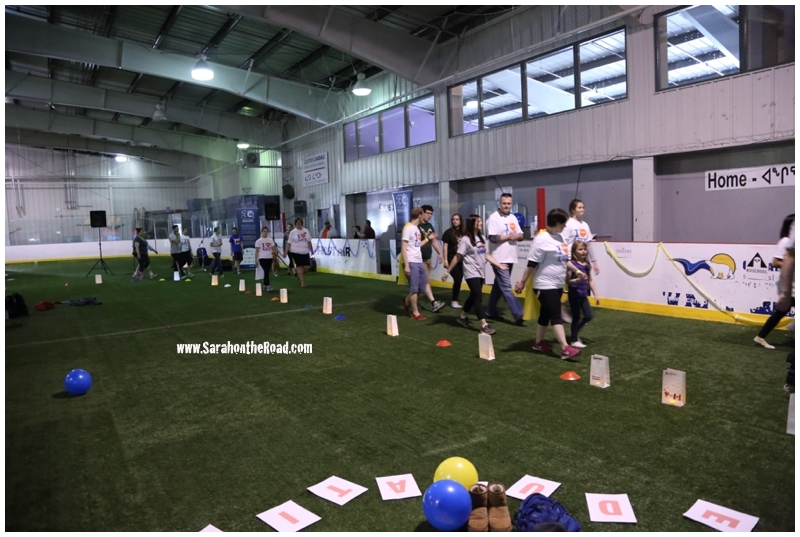 During every Relay for Life participates are welcome to purchase a paper bag and decorate it in memory of loved ones that are currently fighting Cancer, Survivors as well as people that are no longer with us. 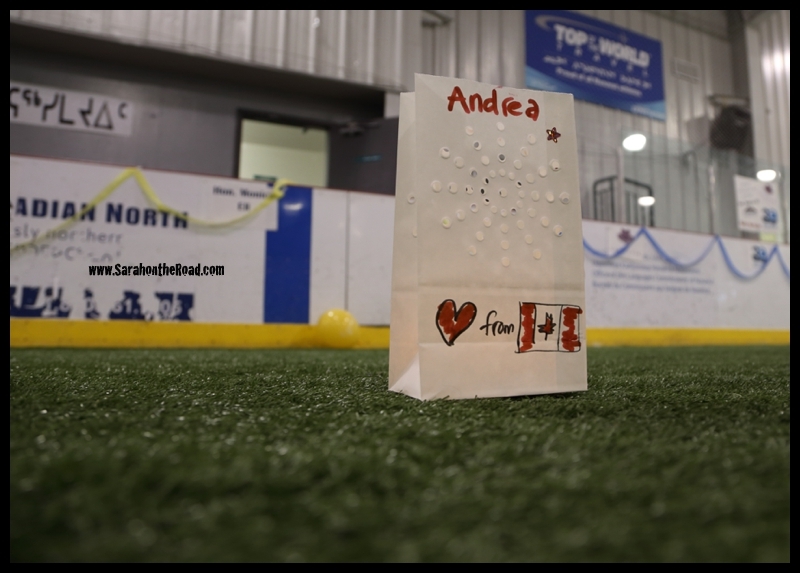 This year I decorated two paper bags and was given two candles for them to turn them into Luminaries…. one for my Gramma and one for my friend Andrea. 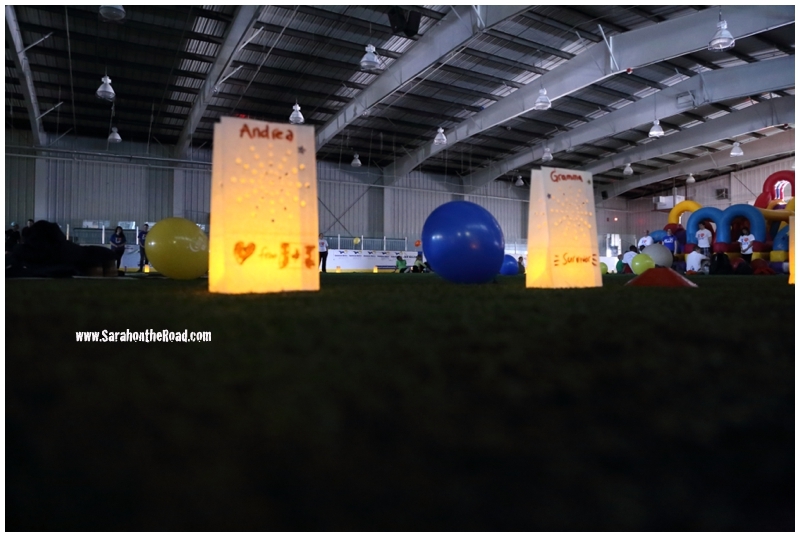 These Luminaries are lit and then the house lights went down…we did a walk basking the light of the luminaries remembering all of our loved ones who have been affected by Cancer. Slowly the house lights came back on after walking a few laps by light from the luminaries. 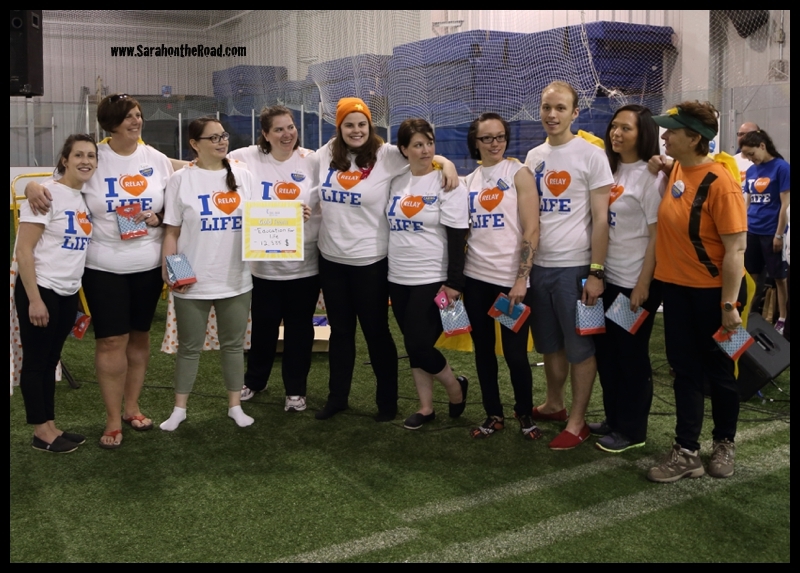 Our Team Education for Life raised a total of $12, 385!!!! 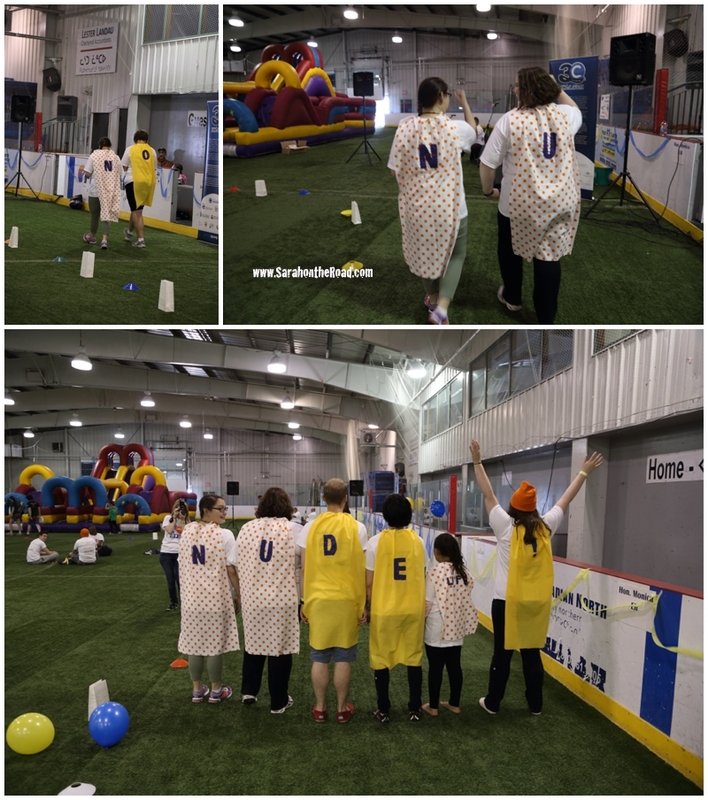 We were the top team….for fundraising. 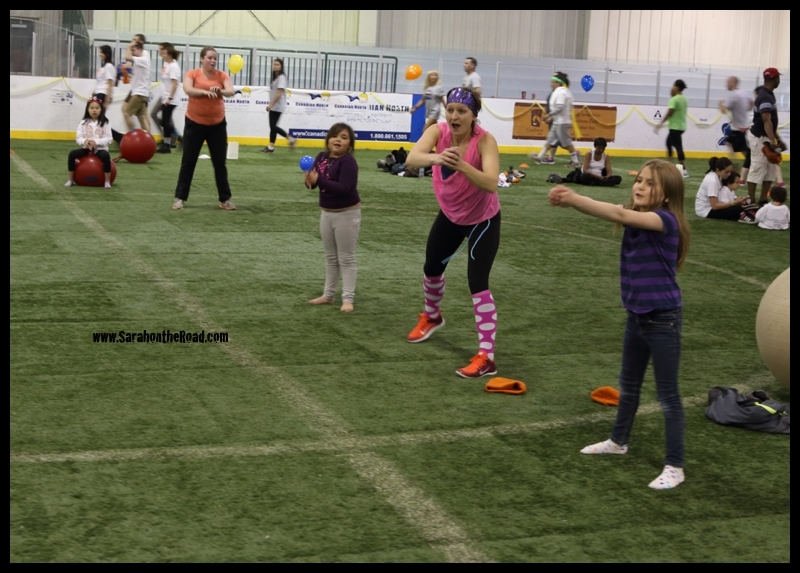 All money raised stays here in Nunavut…it was a great event to be able to take part in…So thankful that I was in Iqaluit and able to participate! 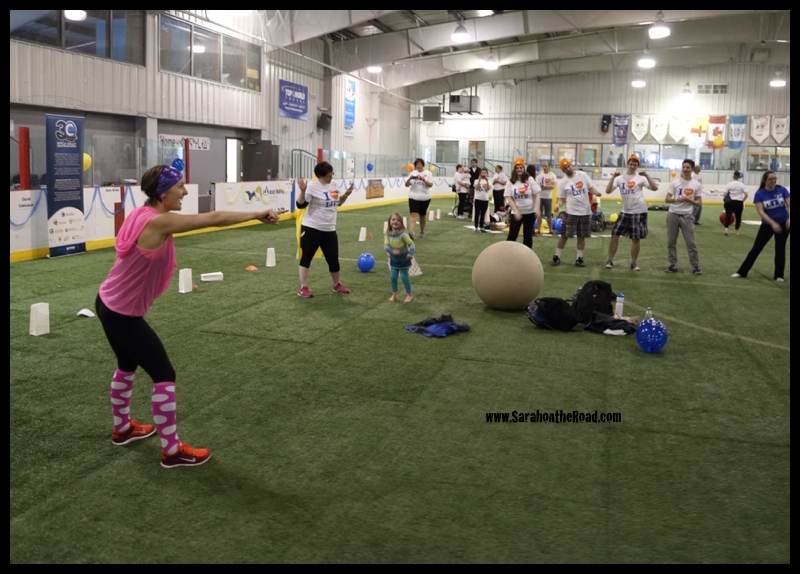 Everyone is touched by Cancer at some point in life…it was great to be part of such a fun and positive event that is for such a worthy cause. 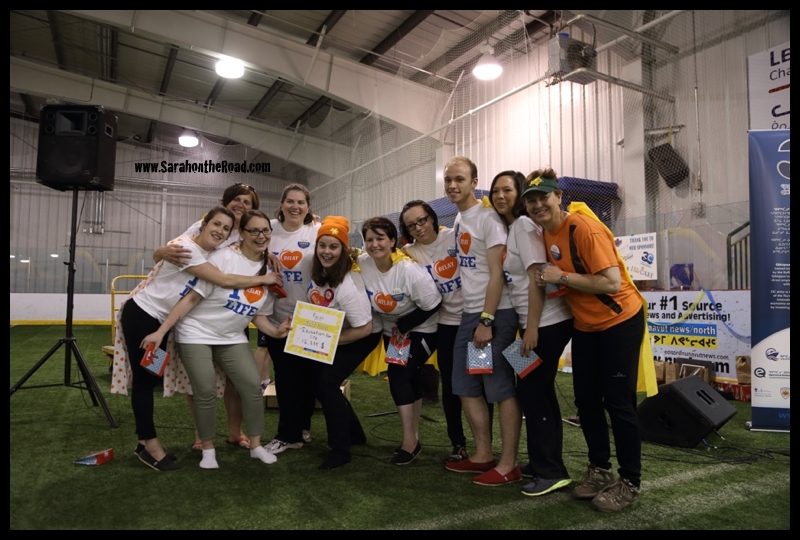 Overall the Iqaluit Relay for Life made over $38,000…money that will go to good work here in Nunavut via the Canadian Cancer Society! 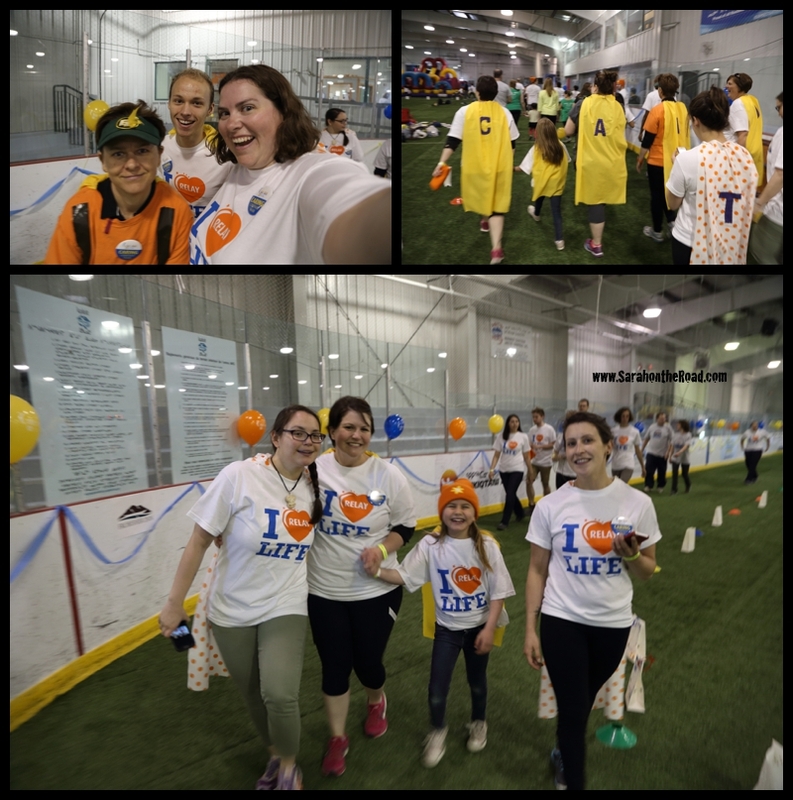 Way to go to all the teams and walkers! 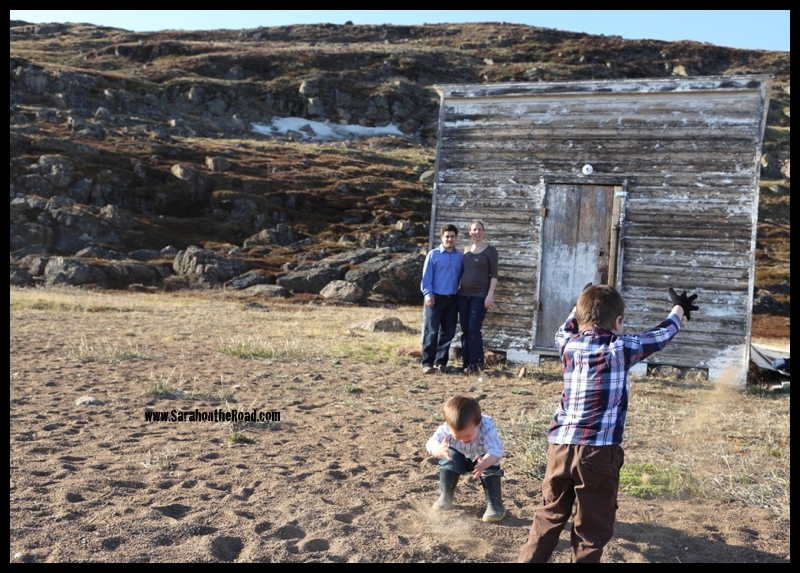 This entry was posted in Fun with Work Mates, Life in Nunavut on July 31, 2014 by Sarah on the Road. 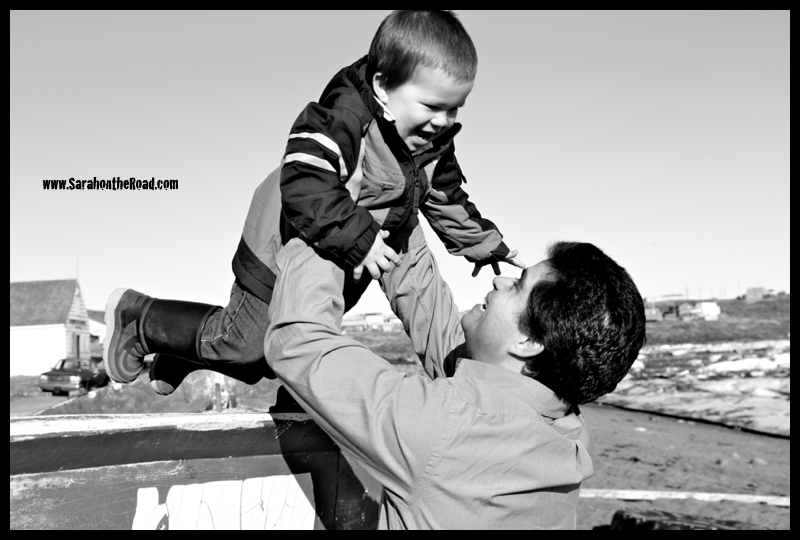 Since it’s Thursday I thought it would be a good time to have a look back on a past adventure…so here’s my Throw-Back-Thrusday (#TBT) post for the day! While I was on holidays in February my mum and I ended up having a few adventures we went to El Salvador saw a coffee plantation together…then I went to Copan, Honduras on a road trip and the next day went to walk on the side of a volcano! But let me tell you the adventure for that holiday wasn’t over! I have never been to see my cousin Cody play in an NHL game before. I had only been to one pre-season Leafs game with my cousins Kerry and Jamie and my little brother! 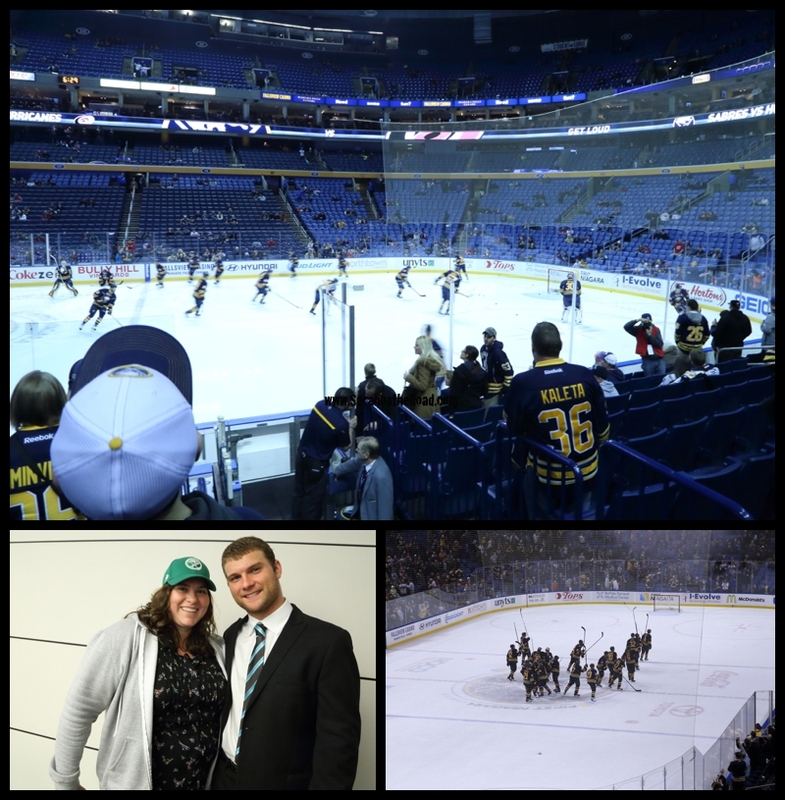 It was an awesome experience…but I really wanted to see Cody play in the NHL. While I was looking at the hockey schedule for the Buffalo Sabres I saw that they had two back-to-back games they played the Carolina Hurricanes on February 25th and the Boston Bruins on February 26th. 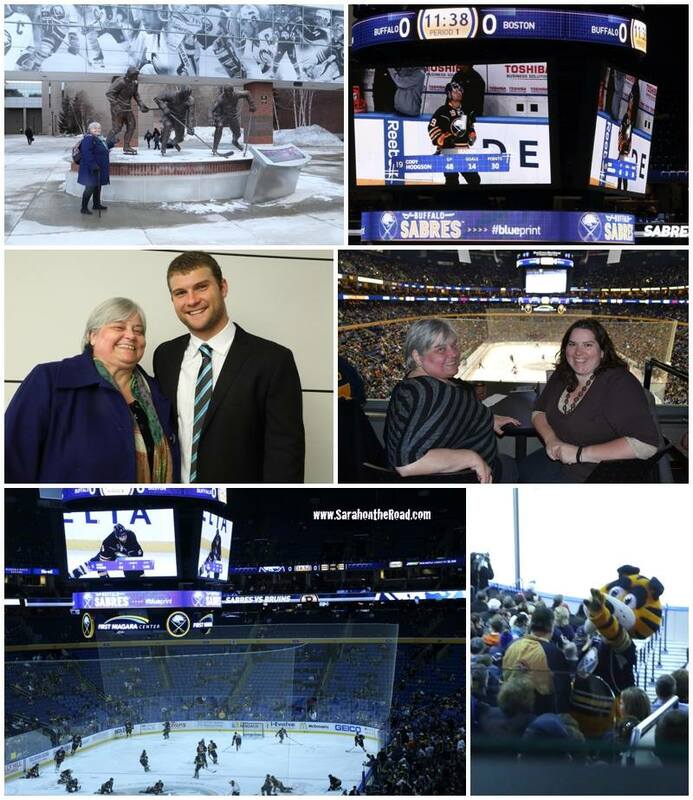 I spoke to my mum and told her we were road trippin’ down to Buffalo for the games! It was the best chance for me to get to see Cody play…that’s one of the downsides of living just south of the Arctic Circle commutes to see a hockey game are a bit long and ridiculously expensive! Now don’t get me wrong I have seen Cody play many times when he was playing for the Brampton Battalion and then when I lived in Winnipeg I went see him play with the Manitoba Moose. But this was the chance for me to see him play in the NHL with the Sabres. After talking with Cody about how to get tickets…he arranged tickets for my mum and I for the two games and next thing we know it was ROAD TRIP time for my mum and I! We were sitting behind the away goal…for the first and third periods, right were all the action was going to happen! The game was great…I was so excited and glad to finally be able to watch my cousin play. Living up in the Arctic is great, but sometimes you miss out on events…and this was my moment to see Cody play! Wednesday my mum and I got up…and had a fabulous breakfast at our hotel…then packed our overnight bags and headed shopping. We had a great day…shopping ’til we dropped! Don’t worry we were back at the First Niagara Centre in time for the game…we might have been there really early, but that’s another story for another time! The game with the Boston Bruins was awesome! The teams have a long history of being huge rivals…so that brought a lot to the atmosphere. 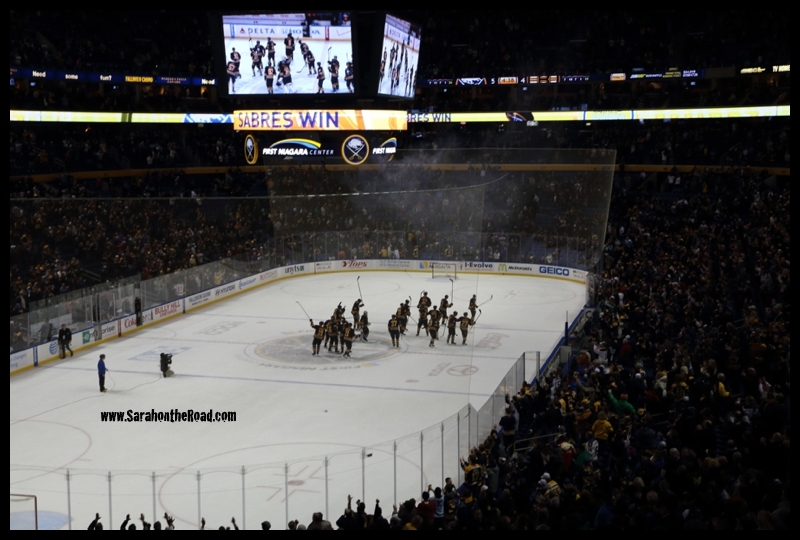 The game was very close…in the last 52.3 seconds of the third the Sabres tied the game and took it to over time! Then they scored in the first 22 seconds of the OT! SABRES for the WIN!!!! After the game we went downstairs to see Cody! We had a really quick but awesome visit. It was so great to be able to visit…since often our paths don’t cross because of our work and life schedules not matching up! After our chat it was pretty late at night at this point…mum and I had to drive back to Lindsay…so we had a few hours in the car ahead of us after we got across the boarder. It was totally worth it! Thanks again for arranging the tickets to see you play…they were such great games and it really did make a dream come true Cody to see you play in the NHL live! I think I’m going to claim the title for your most NORTHERN fan…only 58 days until the pre-season games begin! 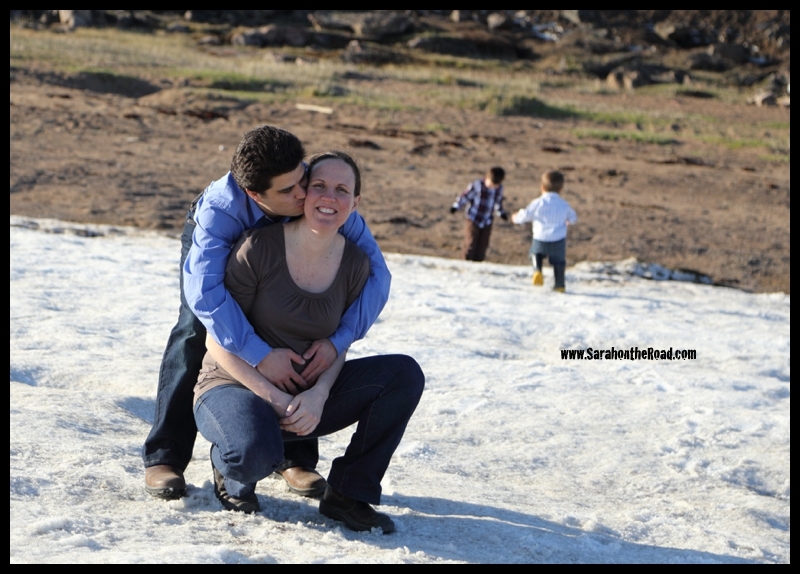 This entry was posted in Family, International Travel on July 24, 2014 by Sarah on the Road. I have mentioned it before, but honestly three years has flown by in a flash. 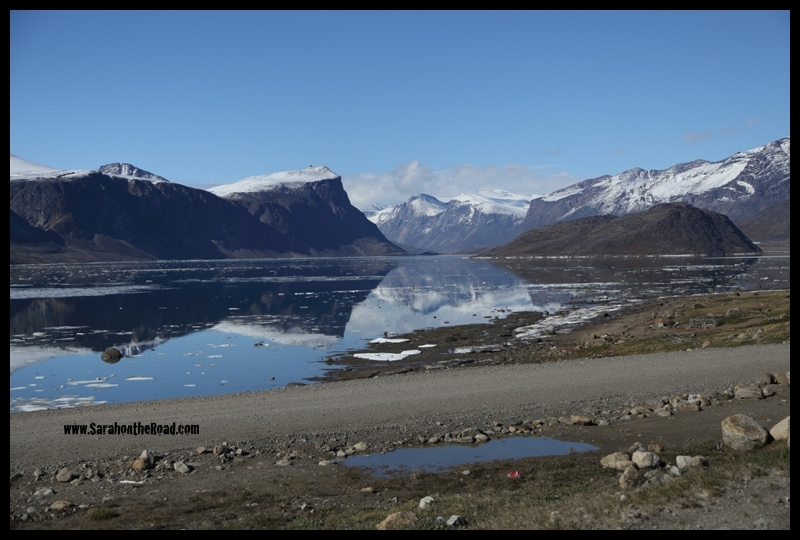 Three years ago I got onto a plane in Ottawa, had a brief stop in Iqaluit and then arrived back in Pangnirtung. THREE YEARS!!! where has that time gone? In three years so much has happened. 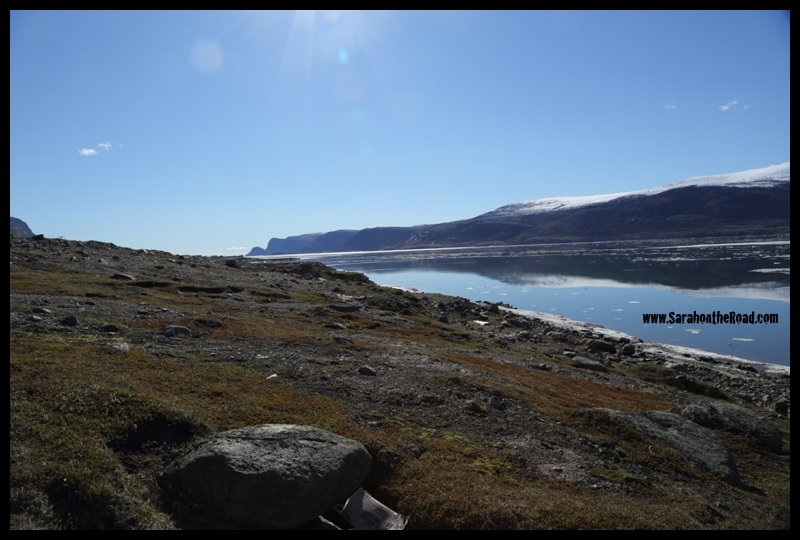 I have gotten to go on some fun day trips out on the land around Pang and in the process saw some awesome sights, stood on the tundra watching the Northern Lights Dance over my head, and gone on many adventures! Life is good. Can’t wait to see what the next three years have to bring. 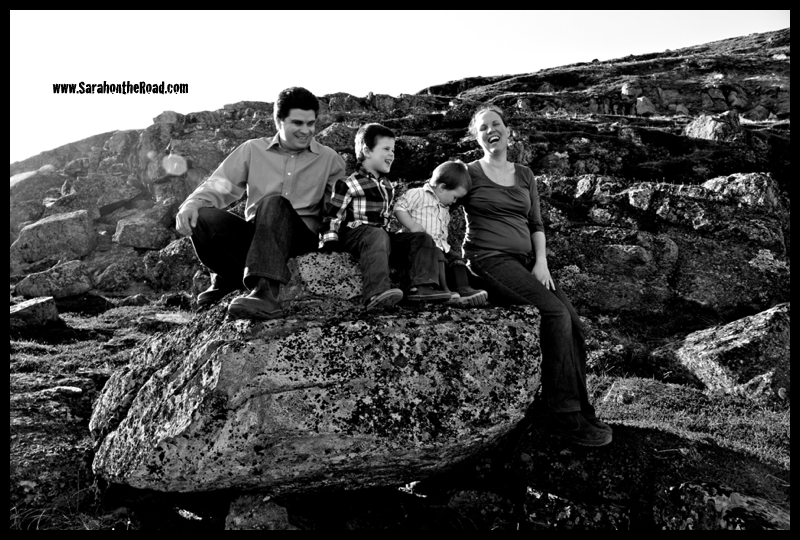 Hopefully many more adventures… but I suppose those are stories yet to be written. 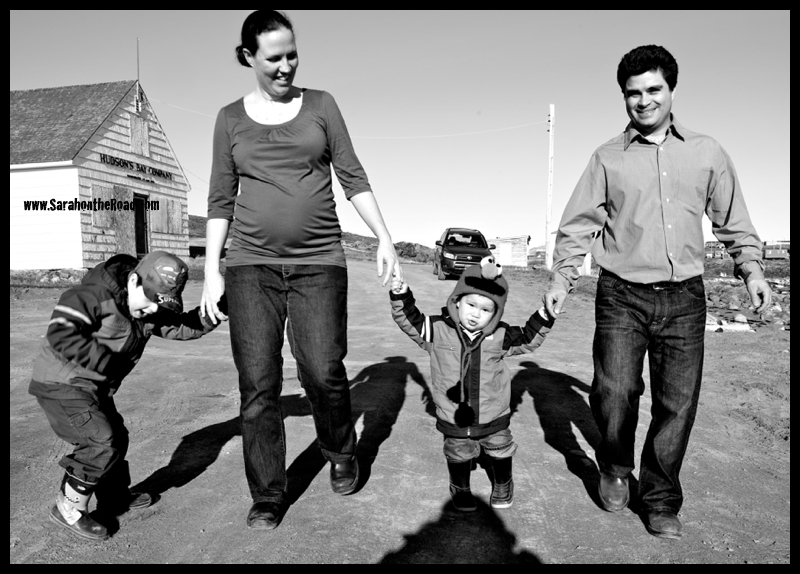 This entry was posted in Life in Nunavut on July 18, 2014 by Sarah on the Road. 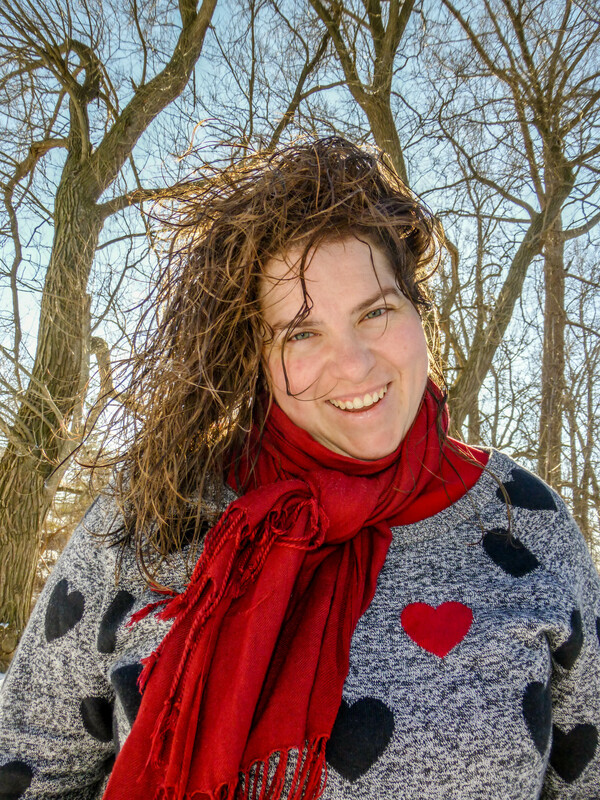 I realized that I never got around to blogging these fun photos from a walk to the playground from May 10, 2014. Since it’s a Thursday it’s the perfect time to do a throw back Thursday post! 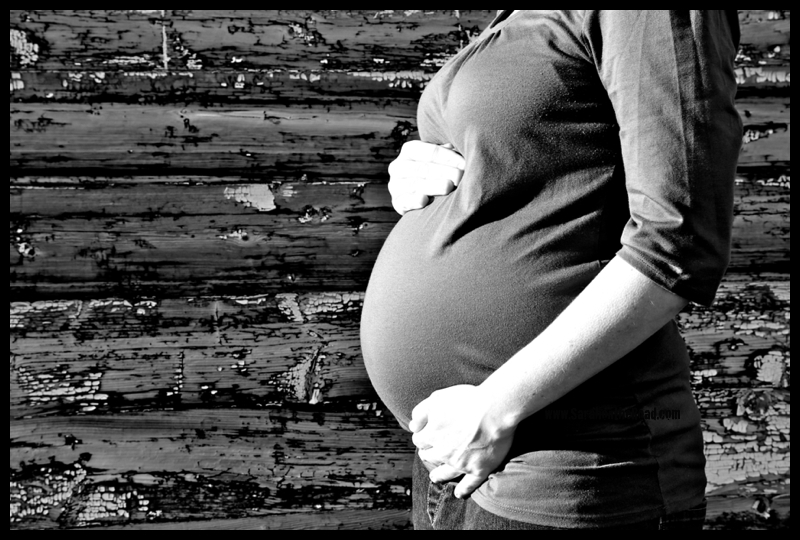 Let’s get to the story…. 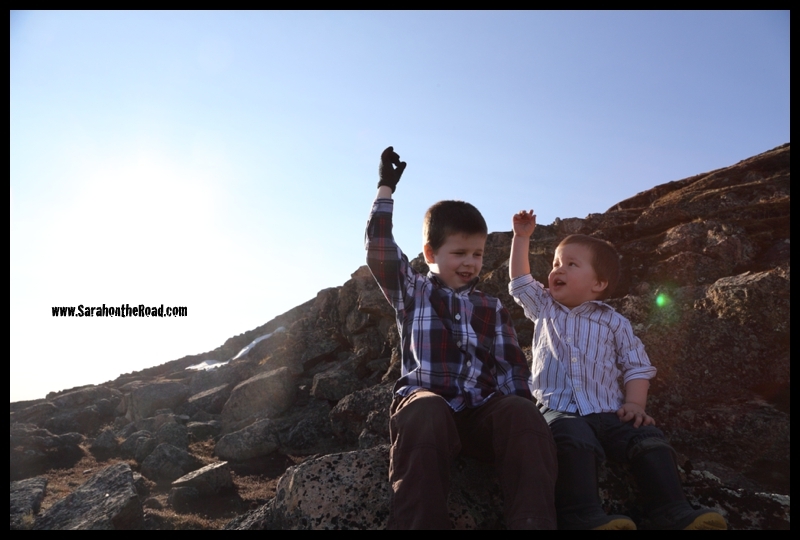 The day after my dog-sled trip I decided to go on an adventure with my friend’s two boys…who are five and two! 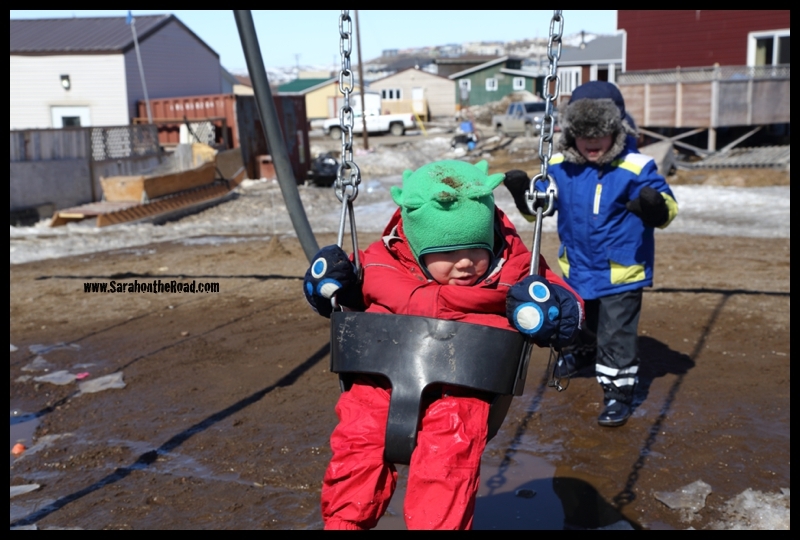 We headed outside for a walk to the playground close to their house to see what kind of trouble we could get into. 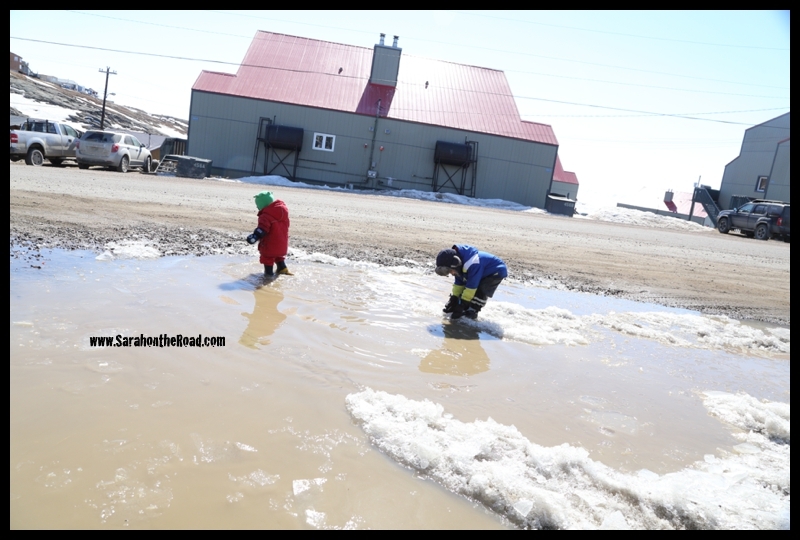 Since it was May…the melt was on, snow was disappearing and leaving behind a bunch of puddles and mud! Which is the perfect combination for lots of fun. Five minutes after getting to the park the youngest already fell into a HUGE puddle…but that didn’t stop him from having fun on the swings. 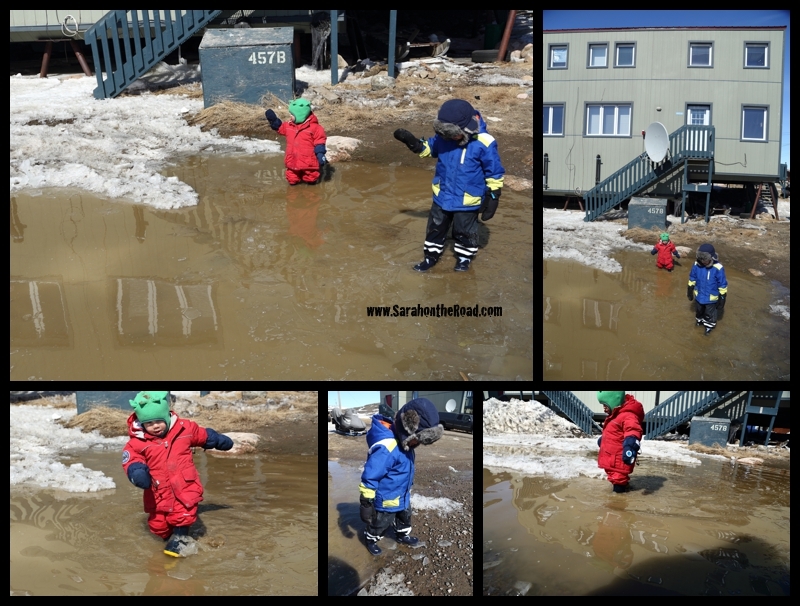 I might be a parent’s worst nightmare…or the super fun Aunt who lets children play in huge puddles and get crazy wet! 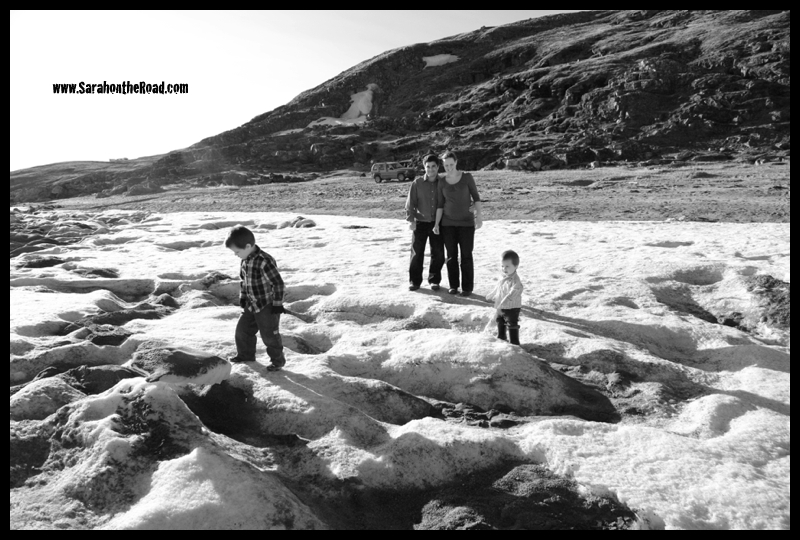 It wasn’t long before Mati slipped on the ice under the puddle and ended up on all fours trying to get upright again! 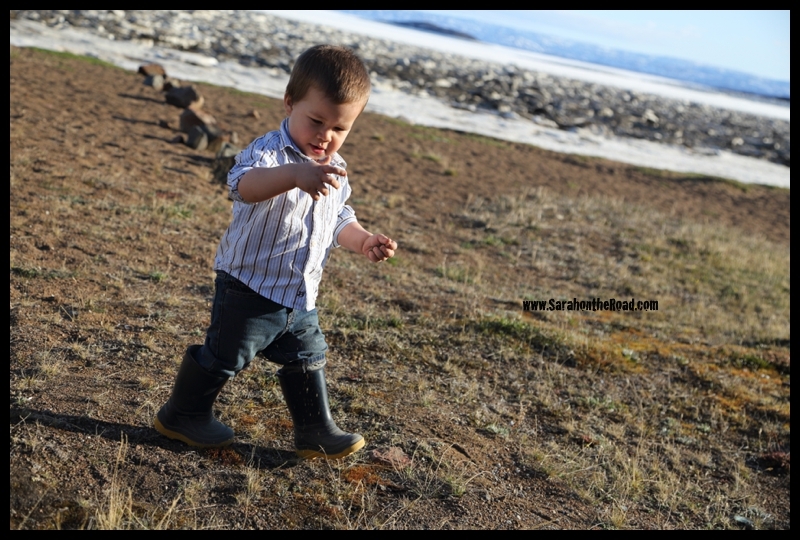 I kind of had to take these photos before assisting him back on his feet! 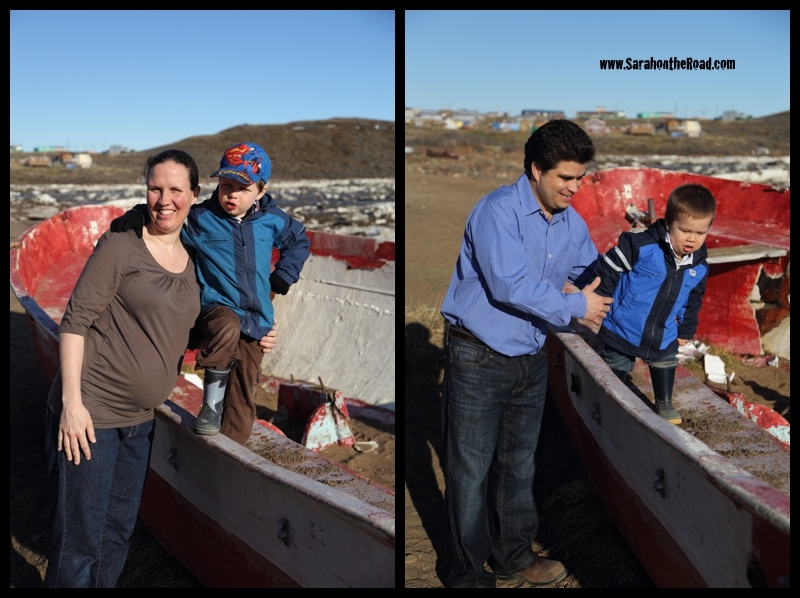 Lucas started ‘fishing’ with this piece of rope he found…trying to capture the monsters in the puddle. It was a fun morning adventure…that ended with getting everyone clean and dry clothes once back inside! 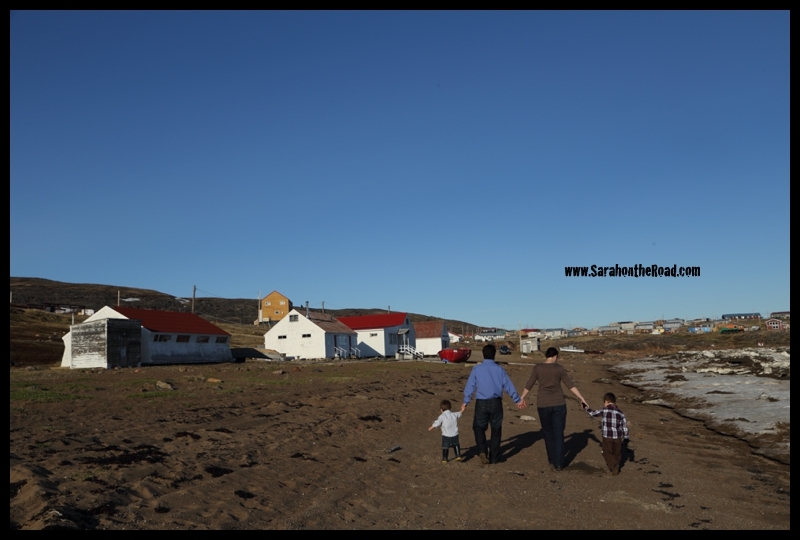 This entry was posted in Life in Nunavut, Walk in the 'hood on July 17, 2014 by Sarah on the Road.